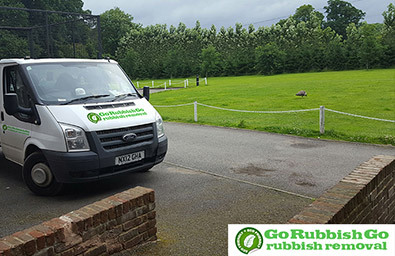 Go Rubbish Go are local Elm Park house clearance professionals in the RM12 area. We know everything there is to know about creating a space in your home or on your land that you haven’t had access to in a while. A cluttered home is no place to live in comfortably but we understand that things can build up quickly. We are here to help with our excellent house clearance in Elm Park and our friendly team are always on hand to answer your call. So call 020 8610 9182 for your quote today and get back the space in your home to do anything you want with. We rival other companies with our low-cost house clearance service in RM12 without compromising on the quality of our service. When you know roughly the amount of rubbish you need removed, the size of the space and the time you would like it moved in then we can provide you with your free quote. Or if you are having trouble calculating then let us help you – call 020 8610 9182 – we are always on hand to answer any of your questions and book your Elm Park house clearance RM12 service at a time that best suits you. It doesn’t have to be expensive; we know how to keep the costs down so that you can still enjoy the benefits we have to offer. Book today and enjoy top tier services at low prices! We are the number one house clearance firm in Elm Park because we know exactly how important a clutter-free home is to you. We work safely and carefully so that we don’t scratch or damage any of your walls and all our employees go through a thorough check to make sure that you can feel completely safe when they enter your home. We want you to feel completely relaxed in our hands so that your experience is completely smooth and worry free. 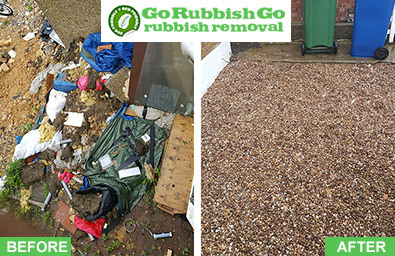 Go Rubbish Go are great when it comes to knowing exactly what you want and we can also show you the benefits RM12 house clearance Elm Park can provide. We could get to you as soon as today if you call now, what we are saying is that there is no such thing as an impossible to handle last minute RM12 house clearance for us. Maybe you have an emergency where you need the extra space, or you want to be able to get your car into your garage to protect it from coming weather. Either way the job could be done in a jiffy. Call us now at 020 8610 9182 so that we can book you in for Elm Park, RM12 house clearance in or answer any of your questions. A friendly member of our team is waiting for your call. 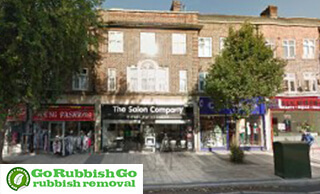 Go Rubbish Go provide fast and effective house clearance services in Elm Park. We can finish clearing a loft in no time if you are trying to make an extension on your home and you could save on a lot of costs by hiring us for house clearance RM12 rather than paying your builders for extra labour. We keep it completely simple for you so that you don’t have to do anything. Once you have called us we get on with everything from clearing away rubbish to recycling and the last minute touch ups after the job is finished as we like to go the extra mile. We are highly trained and skilled when it comes to Elm Park house clearance; we know how to work safely and avoid injuries. We know everything about the RM12 area and what we need to run a smooth service there. We keep in touch with local contacts and recycling plants so we can proceed in the best way with your unwanted items. You don’t have to stress about waste or not contributing to your community. Your house clearance Elm Park, RM12 can be done so quickly that you won’t have to take much time out of your day. We can guarantee our service is completely worth it. Elm Park is a district in East London, in the London Borough of Havering. With Elm Park tube station serving the area on the District line and many bus routes taking you to connecting London areas, it’s easy to head central from this suburban district. The area has been under much development recently and is now home to many local shops and bars proving popular with the locals and visitors alike. Once the only pub in the area in 1938, the Elm Park Hotel has been since closed down and replaced by a Sainsbury’s.